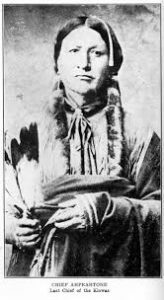 Minnie Tsait-Kopeta was a member of the Kiowa tribe of Oklahoma. It is important to consider Minnie’s tribal culture as it may have informed her letter and the sentiments that she delineates within it. 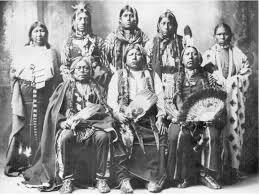 Firstly, belonging to the Kiowa tribe was to be a primary target for recruitment to the Carlisle Indian school because the government considered the tribe to be “troublesome” (Adams 1995). This suggests that Minnie’s enrollment in the Carlisle Indian school was important for the superintendents to maintain as a means of confining and rectifying her potential to cause trouble. 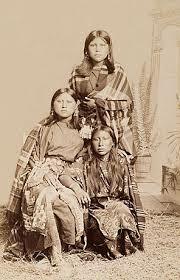 Because of this “troublesome” perception of Kiowa tribe members, Minnie was already understood as a difficult and rebellious student before even entering the school. Recognizing Kiowa tribe in this way meant that Minnie was forced to negotiate her identity with the “troublesome” identity imposed on her by the school officials. W.E.B Du Bois defines this identity negotiation as a “double consciousness” in which one feels as though their identity is divided into several parts (Du Bois 1903). For Minnie, her cultural identity was divided between her personal cultural understandings and external cultural perceptions by the Carlisle Indian School representatives. By understanding this double consciousness with which Minnie grappled, readers can better understand the complexity of feelings that are illuminated within the letter. 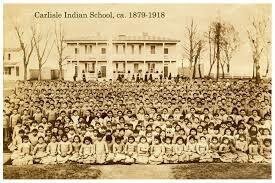 Additionally, Minnie was stripped away from any aspects of her culture during her time at the Carlisle Indian school. Authors Jacqueline Fear-Segal, and Susan D. Rose describe the oppressive ways in which the Carlisle Indian school’s founder and superintendent, Richard Henry Pratt, prevented cultural expression. They maintain that Richard Pratt was determined to “remove Indians as far as possible form their families and communities, and instruct them in the language, religion, behavior of mainstream white society” (Fear-Seagal; Rose 2016). With this objective, Minnie was forced to relinquish her many customs, values, and lifestyle to assimilate to a culture that was contrastive to her own. In this way, Minnie was denied the ability of autonomous cultural expression, leaving her no room to assert her cultural agency. These oppressive practices are important to understand because it reveals the critical ways in which Minnie’s educational experience was repressive, which allows readers to better understand her grounds for resistance to such an education. With an understanding of Minnie’s subjection to an oppressive and assimilationist education, readers can view Minnie’s letter as a form of agency. Moreover, it is important to understand the intricate process through which students proceeded to be released from the Carlisle Indian school, as this was the impetus for Minnie’s letter. For students who desired to leave the school and return home, a myriad of factors inhibited such a process from being easy. According to Nash and Strobel, students were not permitted to leave the Carlisle Indian school until their term was complete. This reluctance to release students earlier than intended was out of the fear that the students would “go back to the blanket.” (Nash, Strobel 2006) In other words, the Carlisle Indian school administrators restricted students from returning home concerned that students would reclaim their Indian identity before completing the assimilation process. Thus, the school implemented strict and complicated policies to ensure that students remained in the program for the full duration. Adams (2012) delineates how students who fell severely ill, or whose parents paid for their release could be released from the school. 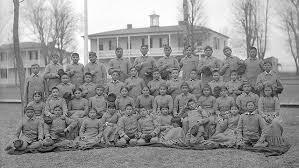 However, Adams asserts that parents did not traditionally pay nor grant permission for their students to leave the school as they feared that the government would cut the resources on which Indians typically survived. The process to be released from the Carlisle Indian school provides a clearer insight on the points that Minnie makes within her letter such as the mention of being ill and the lack of permission from her parents to return home. This entry was posted in Minnie Kopita, Resistors and tagged Agency, Carlisle Indian School, Cultural expression, Education. Bookmark the permalink.